While this one man arsenal of mass-destruction may seem like an affront to political correctness, we're still making toys like this (see Nerf gun). War games are always on the agenda it seems. 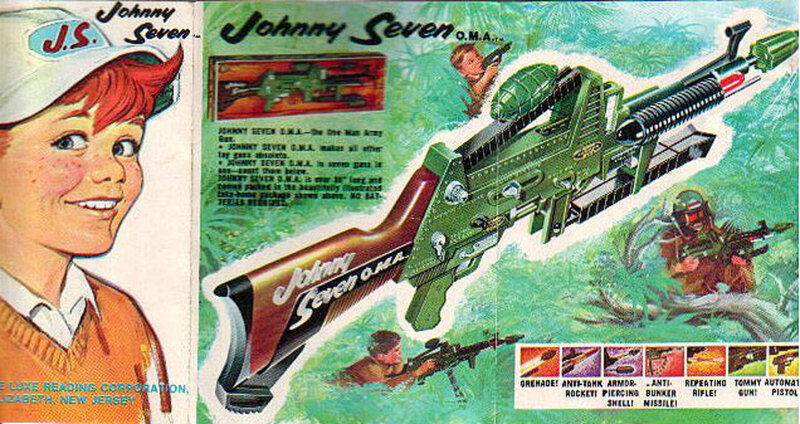 The promo ad for the gun is a vintage treat- it's the kind of ad that inspired the Buzz Lightyear commercial in Toy Story and looking at the picture above right , I'd guess the manufacturers of the modern nerf gun were impressed too. 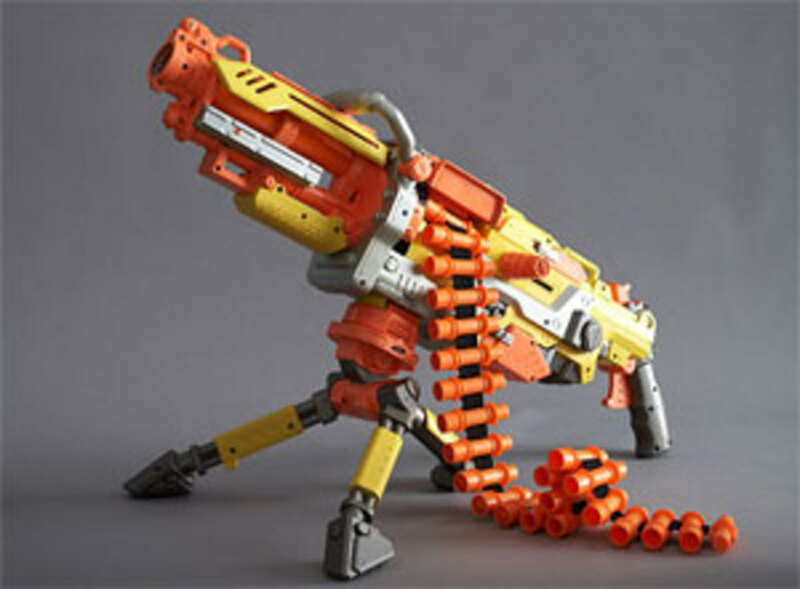 Times have changed though- unlike the Johnny Seven, the Nerf gun is bright yellow and orange, no doubt so no-one tries to hold up an American Embassy with it. . The Johnny Seven was introduced to the market in 1964 by Topper and I'll bet little boys everywhere begged their parents for it. Ah, testosterone.